Hello, I am David Youngman of Hillsdale, MI. I am an instrumental fingerstyle guitarist. I've been performing professionally for over 15 years. My background includes a B.A. in Music Performance. I've also studied with many top musicians and guitarists include John Stropes, Rene Izquierdo, Brian Roberts, and Larry Williams. I'm one of those musicians that finds it hard to lock down on one style. I love all styles of music. The music I perform is largely Jazz, Classical, Pop, Folk, and New Age styles. I perform pieces from the Classical and Fingerstyle guitar repertoire. I also perform Jazz standards and some Pop tunes. I have no problem arranging any Pop tunes or special requests you may have. I also have many original tunes that work great for weddings, background ambience, parties, and concerts. My performing experience includes weddings, festivals, community concerts, corporate events, cruises, restaurants, and more. If you watch some of my videos you'll notice I use a lot of unique techniques that are entertaining to watch and the music is very high quality making it great for a main act or background music. Since joining Gigmasters last year (2011) I've thoroughly enjoyed meeting so many wonderful people at each wedding and party. It's so great that Gigmasters has created this way to bring clients and performers together in this way so the clients can find exactly what they are looking for. I live in Hillsdale, MI with my wife and three sons. Along with performing guitar I also teach guitar at Spring Arbor University as well as privately. Sometimes I do guitar repair on the side. I love photography and like to stay active with running, yoga, and other various training programs. This scale needs to have a sixth star for David. He was more than accomadting. He did not know the songs I requested, so he learned them, and drove 2 hours to my event! Truly a musician, not just a hobbiest. He was very professional, and delivered exactly what I was looking for. I will be hiring David for future events, and recommending him to all my friends and family. I am currently listening to his EP that he gave us after the event, and I am truly astounded by his talent. I can only see great things for his future as a musician. Thanks David. David is a true professional in every sense of the word. Truly enjoyed his performance! Great experience! Great music, on time, professional! Thanks once again! David was perfect! He arrived plenty early, and was invisible while setting up. In fact, didn't realize he was all ready to go until he was. Then he kept the mood of the party going just right. Knew when to keep it mellow and knew when the guests were ready to kick it up a notch. And his playing was of a virtuoso. Classically trained and intricate finger workings were engaging to the audience too! 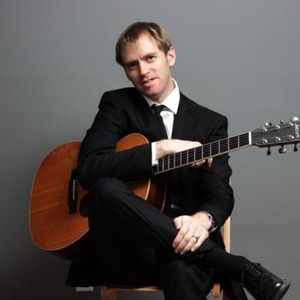 We were extremely pleased with David Youngman and his fine guitar music. He arrived in a timely manner with all his equipment, sat up the equipment himself, began playing before the scheduled time and continued through the requested time. Many compliments were received on his quality musicianship! (Bride's mom) He was great to deal with. I liked his music very much. His music samples on Gigmasters were accurate. I also noticed his timing and sensitivity during the ceremony. (Bride) Great! David did a fantastic job! I can't wait to watch the wedding video to hear all the songs he played before I walked in. I received so many compliments about him playing so wonderfully. David is definitely professional and great at what he does. Don't hesitate to book him for your event! David Youngman is a talented musician, and his performance at our engagement party was outstanding. We wanted background music in order to provide an elegant ambiance, and that is exactly what David did. Some of the guests were marveling at his finger work. I believe that David had to drive around 2 1/2 hours to our venue. He arrived early, and was all set up as our guests arrived. I highly recommend David, and would hire him in the future. Please note David Youngman will also travel to Osseo, Frontier, Jonesville, North Adams, Allen, Reading, Pittsford, Camden, Litchfield, Moscow, Mosherville, Jerome, Quincy, Hanover, Somerset Center, Waldron, Hudson, Montgomery, Cement City, Addison, Horton, Pioneer, Somerset, Concord, Manitou Beach, Alvordton, Fremont, Homer, Kunkle, Clarklake.